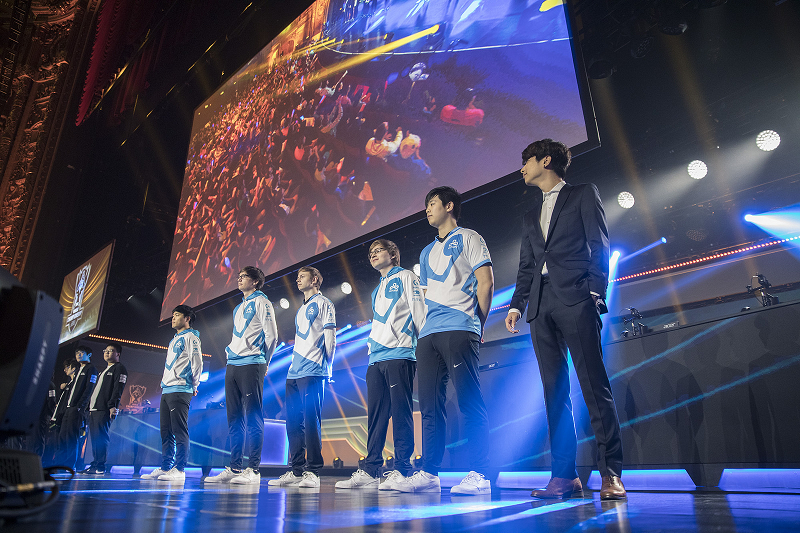 Cloud9 at the 2016 World Championship Quarterfinals, via Riot. A rift between the developers at Riot Games and the competitive scene around their game, League of Legends, has been growing for some time. A new letter addressed to the company and signed by 18 different professional League teams shows it’s only getting worse. According to the letter, obtained yesterday by Slingshot, several team owners within the League of Legends Championship Series (LCS) have written to the game’s developer about problems related to revenue sharing and relegation, among others. Among other things, the letter calls for the elimination of relegation, a share of digital item revenue for each team, as well as upfront team compensation of around $700K for the work they do in promoting the game and the LCS overall. Over the past year, the NA and EU LCS teams (the “Teams”) have been working with their respectiveRiot counterparts to address issues related to the Teams’ participation in the LCS. As part of that effort, both the NA and EU teams have identified critical related issues which have been communicated to Riot. 5. The effective elimination of the path to pro caused by the Teams’ need to redirect resources from LCS to Challenger as a result of insufficient compensation and relegation. 6. The financial hardship suffered by the Teams caused by insufficient compensation paid to the Teams. At the end of the day, the teams’ issues, which include Cloud9, CLG, Envy, Team Liquid, SoloMid, Fnatic and others, seem to come down to the overall stability and profitability of the LCS. The constant threat of relegation, and Riot’s new apparent plan to start chartering teams in 2018, leaves many of the organizations on their own, forced to navigate the game’s evolving frontier without much in the way of safety net. As a result, they’re pushing back against what they’ve termed the “lose money with the expectation of making money in the longer-term” mentality Riot has implicitly requested the teams to adopt. In response, Riot’s co-founder Marc Merrill, took to Reddit to place the blame for unfairly compensating players at the feat of team owners. “Love me some Regi, but if he’s so concerned about the financial health of his players, maybe he should spend some more of the millions he has made / makes from League of Legends on paying them instead of investing in other esports where he is losing money,” said Merrill. After that, Riot went on to announce changes to its revenue structure to address the concerns voiced by Dinh and others. These changes included adding 25% of the revenue from sales of certain skins to the world championship prize pool, as well as the promise of new revenue sharing opportunities to come in 2017. Based on the letter above, many of the LCS teams don’t appear to believe these steps alone are enough. More recently, Christopher “MonteCristo” Mykles said in an interview with Yahoo Esports that his time commentating on Overwatch so far has been more lucrative than shout casting League. “Blizzard paid me more in two weeks than Riot has in five weeks for a world championship,” he remarked about his time covering the Overwatch World Cup. Currently, Riot guarantees League players in North America $12,500 per season. The company earned $1.6 billion in revenue last year alone. We’ve reached out to Riot and the teams involved for further comment.